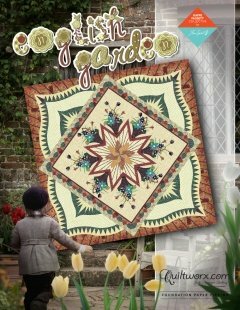 The English Garden quilt pattern designed by Judy Niemeyer will be created during this 3 month class (9 days altogether). You will learn several of Judy Niemeyer's paper piecing techniques. The cutting class is scheduled for April 26th and the optional applique class is April 27th.